Looking For The Best Affordable Record Player with Built in Speakers? Here’s a look at our favorites, including our top pick the – Crosley CR8005D-TU. 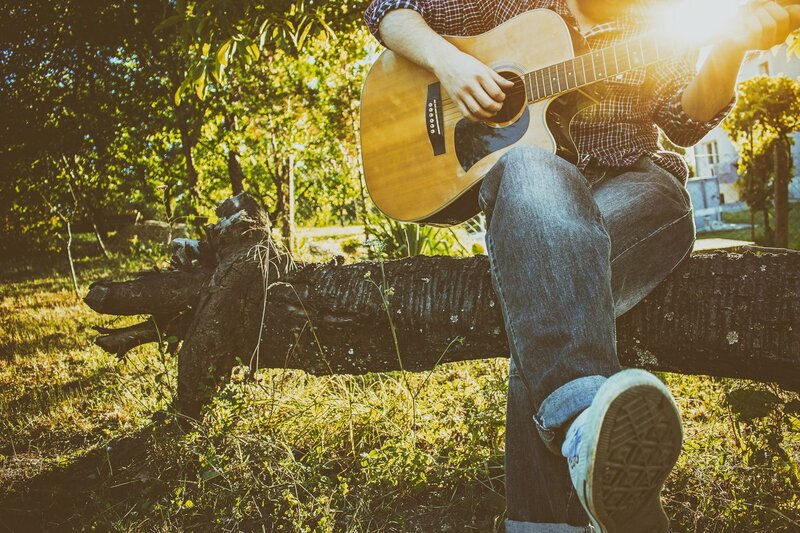 Vinyl music offers a unique music experience. It takes a little extra time to pull out the record, wipe off the dust, line it up on the platter, start the turntable, and carefully set the stylus. At least, it takes a little longer than simply tapping the screen on your smartphone. You can skip to the song you’re looking for on a record player, but many listeners prefer to start with track 1 and slowly move through the album, hearing the music the way the musician intended it all to be experienced. The occasional cracks and pops can annoy some people, but to those who grew up with vinyl (and to the younger generation who has grown a discerning ear to appreciate it), that’s all part of the warm vinyl sound. The vinyl revival has been going strong for over a decade now, and its popularity has enticed a number of manufacturers to offer great record players at affordable prices. 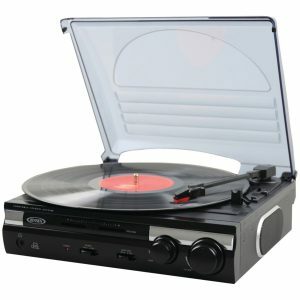 Even better, many of these affordable record players are modernized with Bluetooth, USB connection, and built-in speakers. This is great for music lovers who want that classic vinyl sound and feel without investing in a whole new speaker system. 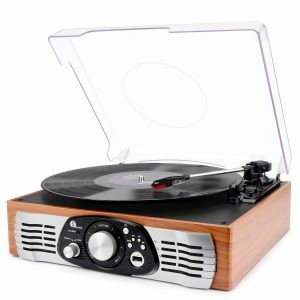 What Are The Best Affordable Record Players with Built in Speakers? If you’re a pro that grew up with vinyl records and turntables, you can skip this part and jump straight to the top 5 affordable record players with built-in speakers. But if this is your first time diving into vinyl, here are a few tips on what to look for in a good record player. Good vibrations – at their core, turntables are vibration control machines. As the stylus moves along the grooves of a record, it picks up the vibrations and converts those vibrations into a signal that produces music. As a sensitive stylus is designed to pick up any vibrations, it can be problematic if you have other competing vibrations in the room that the stylus may pick up on (walking on a wood floor, kids banging their toys, the refrigerator humming, etc.). A good record player will have some protective measures to filter out external vibrations. The platter – this is the part of the record player that spins your record. Most platters will have a slip mat (aka platter mat) for noise isolation and a soft surface for your record to sit on. The plinth – this is the base of the record player (because it would just be too easy to call it the base, right? ), and it’s where the majority of the vibration isolation systems will be. You might see dense rubber feet, heavy materials that keep the record player from bouncing around, and various internal decoupling measures. The tonearm – let’s call this the most important part of the record player. The tonearm gets the stylus into the record’s groove and keeps it on track as the record spins. It needs to be properly balanced, aligned, and adjusted for height. It should be able to move freely without resistance, but not so free-spirited to the point that it strays from its track. It should be long and rigid, but also light and compact so that it doesn’t put too much pressure on the record. 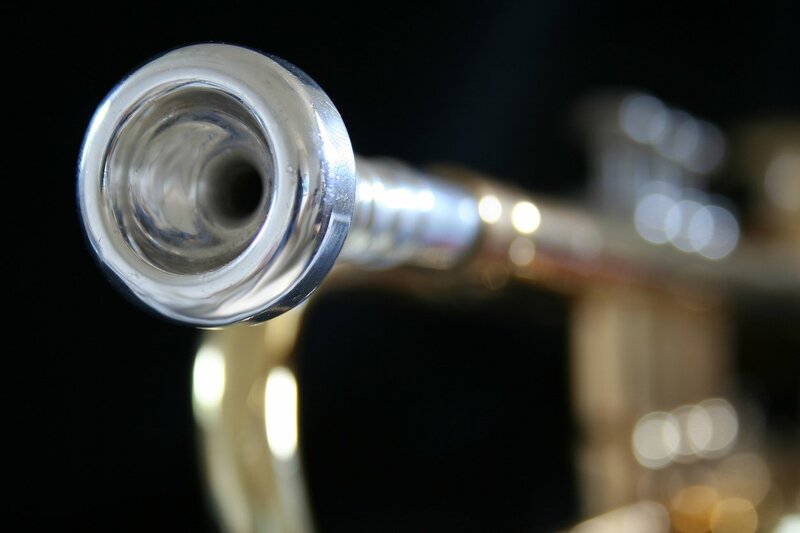 The counterweight – on the subject of the tonearm, this is the piece that ensures the perfect balance. The counterweight sits on the back of the tonearm and applies just the right amount of pressure for the stylus to glide along the surface of the record. The stylus – this part of the record player has changed over the years (at one point it was called a needle), but nowadays most manufacturers use a diamond stylus. That’s right—at the tip of the stylus is a microscopic diamond. As you look at more expensive record players, you’ll notice a difference in the shape of the diamond stylus. The most common (and affordable) shape is spherical. 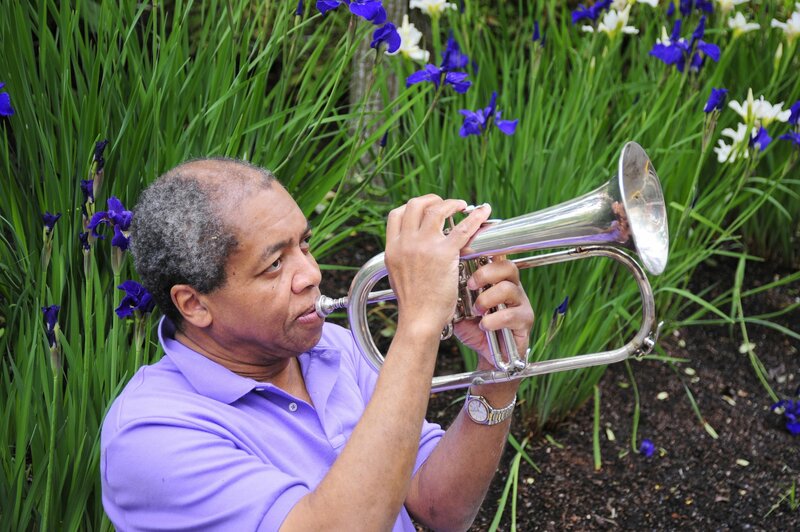 It’ll do the job, but it may not pick up the finer vibrations in the record. An elliptical stylus is the next level up, and is preferable when possible, as it can pick up more detail. Stylus types above that level tend to be much more expensive, and beyond the scope of this discussion. The belt drive – as the name implies, the motor spins a belt that’s connected to the platter. In contrast, a direct drive motor directly spins the platter. 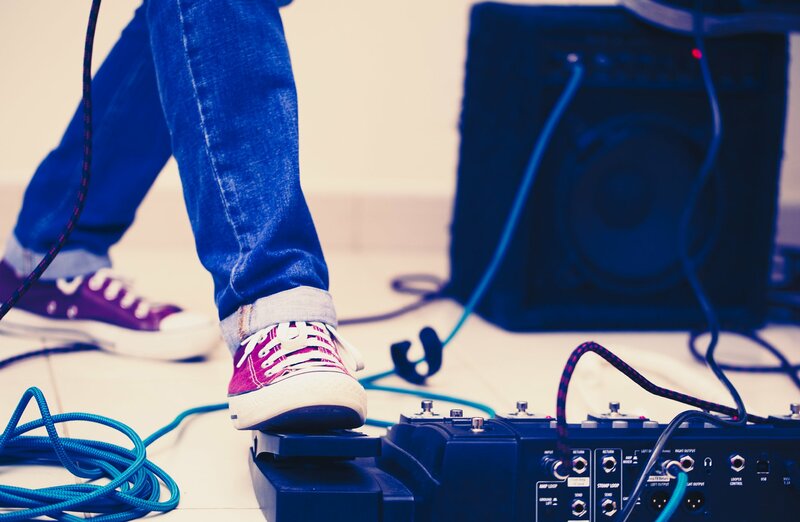 There are good and bad features of both motor types, but belt drives tend to produce better sound quality due to the dampening effect of the belt (which cuts out the vibration you’ll get from a direct drive motor). Most affordable record players should have a belt drive. 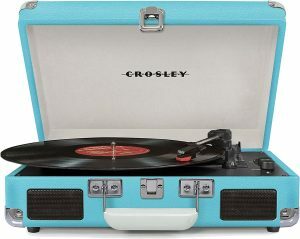 If you’re looking for portability, the Crosley CR8005D-TU is the record player for you. This record player is built in a briefcase design that can easily be closed, locked, and safely carried with you wherever you go. It has built-in dynamic full-range speakers, and a Bluetooth receiver that let’s you stream wirelessly from your mobile devices. The belt-driven turntable has 3 speeds, and adjustable pitch control. It’s also available in a fun variety of colors, so you can pick one that matches your style. 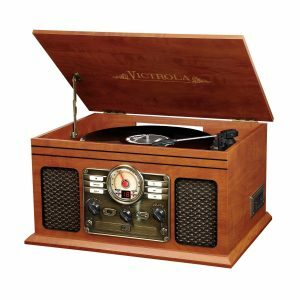 The Victrola Nostalgic Classic Wood Record Player is fun for people who want the classic look of a traditional record player. 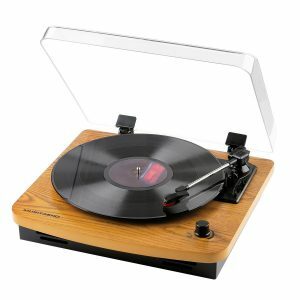 It has a beautiful mahogany design with an old school interface, but it packs all of the modern features you’d want from today’s record players—Bluetooth, CD player, cassette player, FM radio, a 3.5mm aux-in cable (cable included), and an RCA-in jack. It also has dynamic full range stereo speakers, so even though it looks like a classic, you don’t need the traditional connection to an external amp and speakers. Next up is the Jensen JTA-230 which is a great pick for people who want to convert vinyl records to digital format. It plays vinyl records with a belt drive and built-in stereo speakers, and it comes with a USB port/cable along with the necessary software to record, edit, and convert audio content. 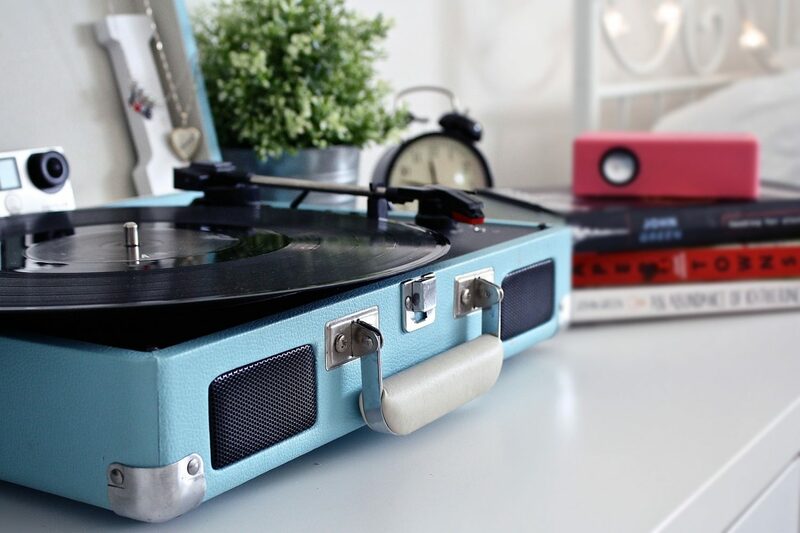 It also has an aux-in jack that you can use to connect any mobile devices directly to the record player. I love the modern wood look of this record player. 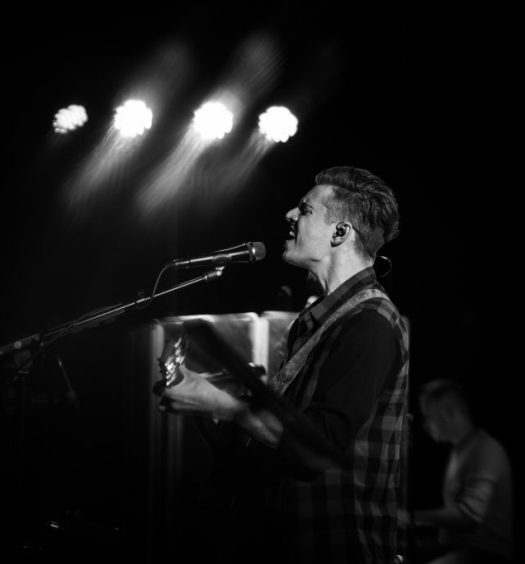 Musitrend is known for their innovation, professional functionality and meticulous design, and this product is no exception. You can play your vinyl records using the player’s built-in stereo speakers, or you can plug in your mobile device for digital play using the aux-in jack. It also has a USB port/cable that you can connect to your computer to convert vinyl records to mp3. The 1byone is another great record player with a design that hearkens back to the golden age of vinyl. 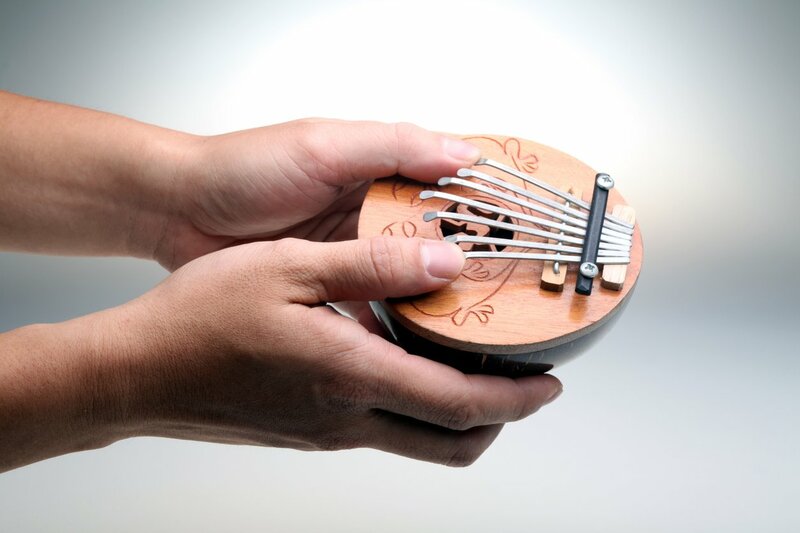 It has a beautiful wood design on the outside, with a long-lasting belt drive on the inside that can reduce external vibrations for better sound. It also has a replicable stylus, so when it’s time for a new one (probably in about 5 years) it’s super simple to order a replacement online. Like most of the other options we’ve discussed today it has an aux-in jack to play digital music, built-in speakers for easy setup, and a USB-out jack to connect with your computer and convert vinyl to mp3. You don’t need to drop a ton of cash on a good record player with built-in speakers. All 5 of these record players are highly rated with excellent customer reviews that you can trust, and they’re all under $100 (more than half are even under $50!). At the end of the day, their functionality is pretty similar, so it really comes down to what style looks best to you.